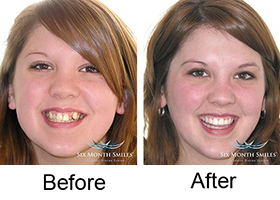 Six Month Smiles® short term orthodontic treatment that effectively and safely shifts your teeth using clear brackets and tooth-colored wires that are barely visible. Your treatment can be completed in about half the time of less traditional braces or ClearCorrect because this system focuses solely on your smile’s appearance and not on your bite. You don’t have to worry about forgetting to put back in the appliances after eating, since only your dentist can remove them. A straighter smile in months, not years. 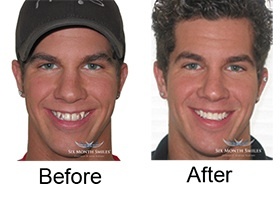 For more information, visit www.6monthsmiles.com. Call our office today to schedule a consultation with Dr. Zeik for SixMonthSmiles® at (732) 863-8040 or use our online form to request your appointment.